Drywall or gypsum is the most common building material in the US today and is used to build interior walls and ceilings in both houses and commercial buildings. Drywall is composed of a gypsum core sandwiched between two paper-based sheets on both sides. Drywall is easy to build with but loses it’s strength when wet. It goes soft and can be damaged easily, but as long as it’s not kept wet for extended lengths of time it will normally return to it’s prior hardness and strength prior to being wet. 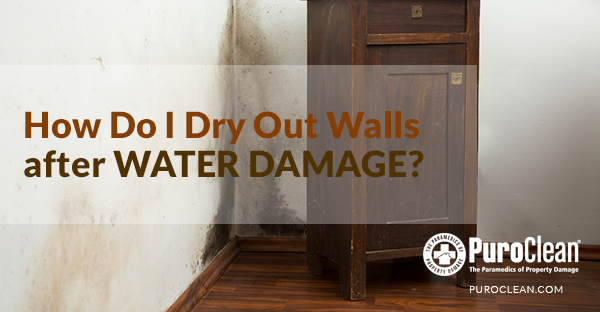 Water damaged drywall needs to be dried as soon as possible in order to prevent mold growth. Most times drywall can be saved but there a various factors which need to be considered when determining whether to remove water damaged drywall or dry it in place. Wet drywall ceilings that are sagging should always be removed in order to speed up the drying time of the materials above it since sagging ceilings can trap excessive moisture and prevent drying of important structural members. Even if the sagging drywall ceiling can be dried efficiently and cost effectively it won’t return back to a pre-loss condition and will need to be replaced later anyway. Wet ceiling drywall can also pose a significant safety issue as it could fall down at any moment, the best course of action is to remove it as soon as possible. Insulation found in exterior walls can also be an influencing factor on whether to remove the water damage drywall or not. Most times, insulation saturated with water can take a long time to dry and sometimes it’s more cost effective to cut out the drywall and remove the wet insulation. Sometimes the insulation and walls can be dried with a wall cavity drying system that blows hot dry air into the wall cavity through small drilled holes and dries the wall out from the inside. This should only be considered in a category one water loss situation and not in a category two or category three scenario. Multi-layered drywall can also pose a problem to restorers. Layers of drywall sandwiched together can normally found where a fire-break or noise reducer is required such as in fire-rated walls and elevator shafts. Water damaged multi-layered walls can be a major issue when drying a water damaged structure and if it’s ever suspected then invasive inspection is required in order to make that determination. If multiple layers of saturated drywall is discovered then a decision needs to made quickly whether to remove it or attempt to dry it. If an attempt is made to dry it then a wall cavity drying system is required in order to dry out the drywall from the inside (as well as the outside). If it is determined that the multiple layers of drywall are to be removed and that drywall is functioning as a fire-rated wall then consultation with a fire martial or structural engineer may be required. If the situation calls for water damaged drywall removal it’s best if the demolition is conducted within containment with appropriate personal protective equipment. Once the wet drywall is remove the remaining members such as wood framing structure (studs) should be dried appropriately to within at least 4% of the dry structural standard (usually around 16% moisture content). can develop if the water damaged wood studs are not dried properly is nail popping which is caused when the wood framing shrinks further as it dries and pulls away from the newly installed drywall. 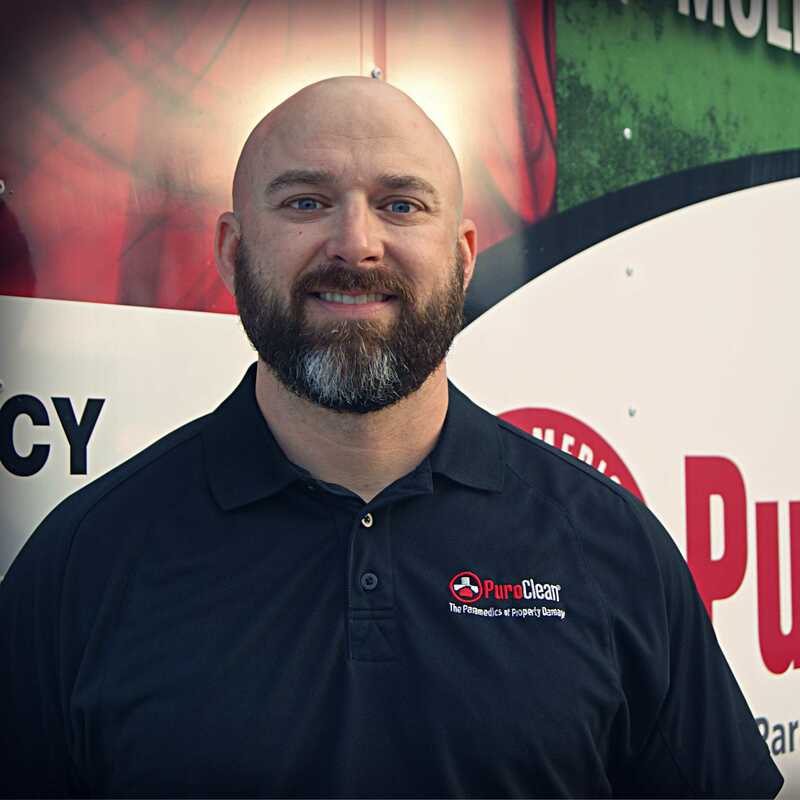 If you have experienced a water related loss and have water damaged drywall it’s always prudent to call your insurance company and/or a water damage restoration company like PuroClean Certified Restoration. We are certified and knowledgeable in the field of water damage cleanup and can help you through difficult situations like wet drywall. We are available 24/7 and our expert technicians are standing by to mitigate your water loss and prevent secondary damage.